The square lock is extended at the corners by four circular fittings, with lightly embossed openwork thistles. 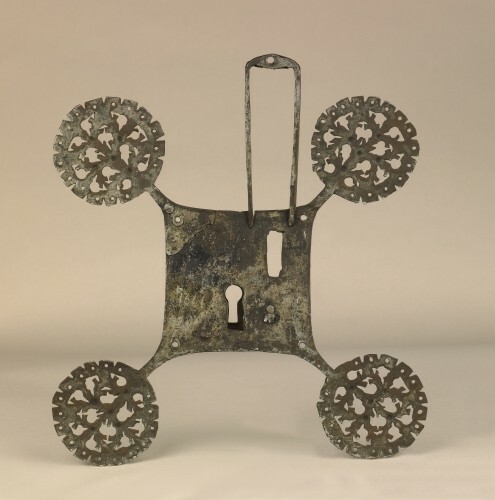 The mechanism and the hasp have disappeared but several fittings belonging to the same trunk and bearing the same plant motifs are conserved in the museum. The keyhole is in the centre of the box covered with a panel with fenestration. Little studs, at the corners of the box and around the circular fittings, enabled the lock to be affixed to the chest.